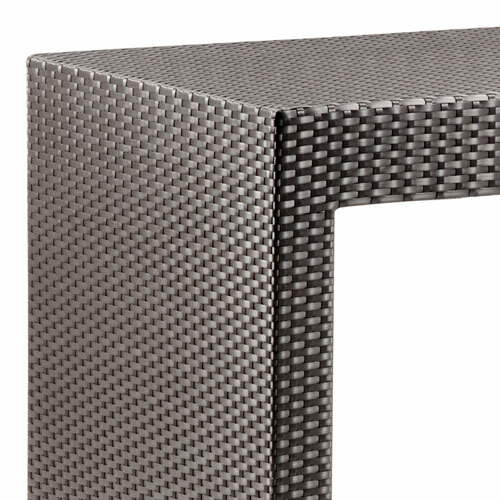 Agadir Single Bench features a UV treated synthetic weave and reinforced interior aluminum tube frame. The cushions are made of water resistant covers and foam. Minimalisitic and ultra-stylish, the Agadir set makes all dining spaces sleek and modern, regardless of where or how the sun shines.